This custom West was commissioned by a long time customer. He was looking for something truly special, and that’s exactly what he got. The mesquite body, cocobolo neck and a bocote fretboard are just the beginning. 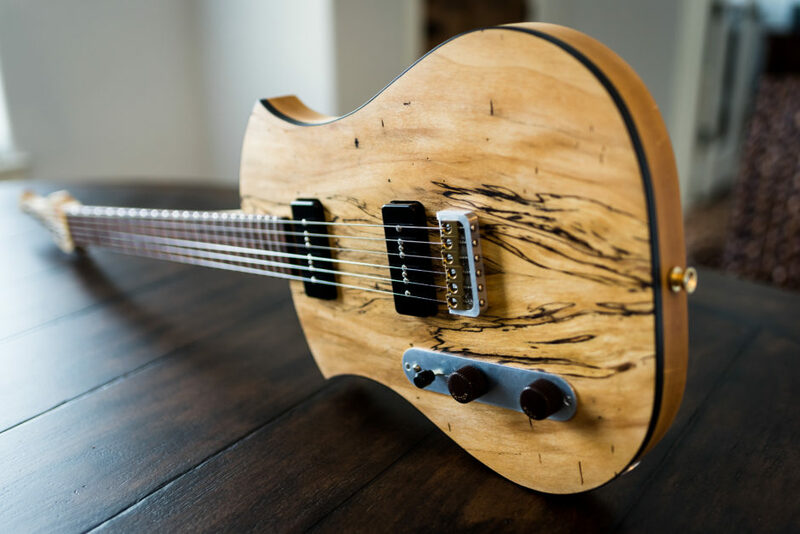 A custom bridge was machined to accommodate the multi-scale, custom wiring and electronics and a bevy of other features help make this guitar extremely toneful and versatile. Truly one-of-a-kind, and built to last a lifetime.